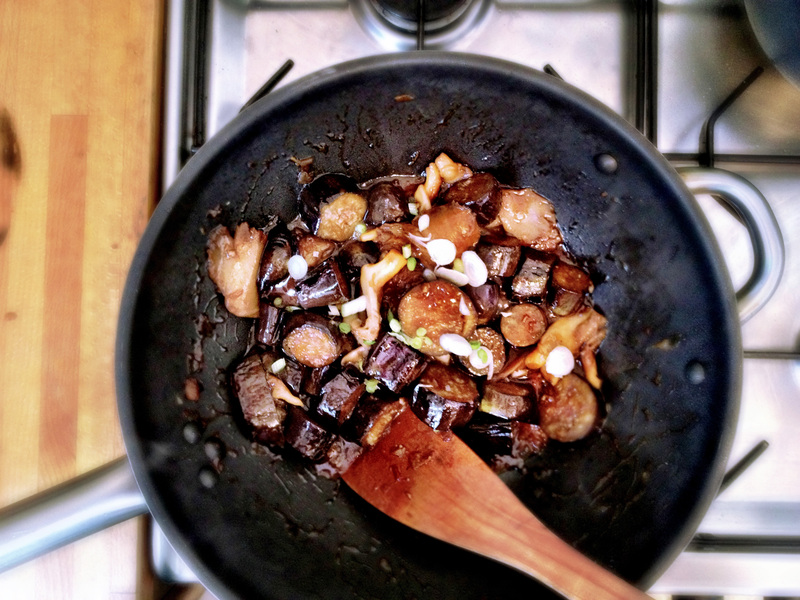 The aubergine is one of my favourite vegetables in the whole world. It carries flavour so well and has a filling, meaty and tender texture when cooked just right. There is nothing worse than undercooked foamy aubergine though! I love them collapsing into rich tomato sauces like Sicilian caponatas or as part of Turkish mezzes, and in rich South Indian or Malaysian curries, and – of course – cooked with lamb, as the Israelis do. 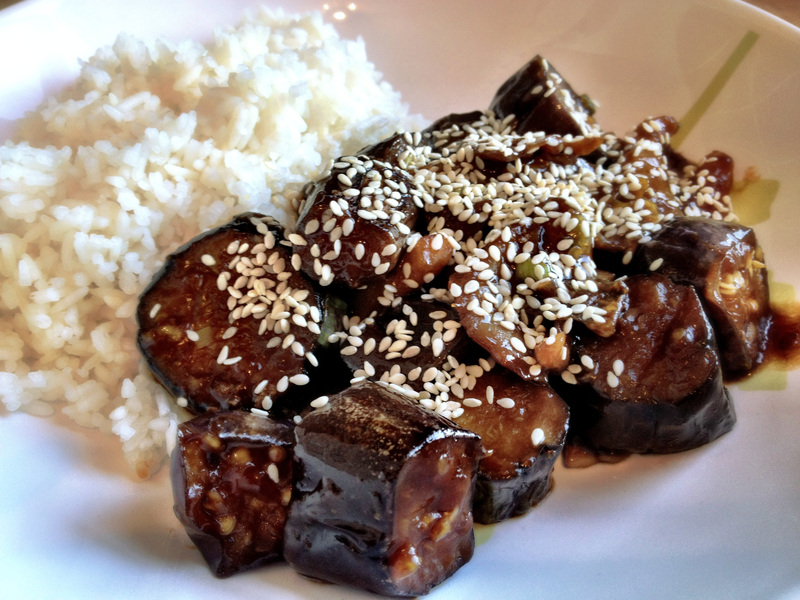 But, one of my favourite ways to prepare aubergine is with a Japanese miso sauce dressing – either whole baked miso aubergine (nasu-dengaku) or fried miso aubergine (nasu-miso). It’s a really straightforward dish to prepare. The only word of caution is just to really make sure your aubergines are cooked through before serving. My favourite technique for ensuring they cook through is to give them a helping hand with a little water, which helps steam them slightly. You can of course persist with frying them in lots of oil, but I find you can burn them easily, or that they just endlessly absorb all the oil you add. I’m sure I’ve succeeded in bastardising the flavours and/or techniques of the authentic version of this dish slightly, but I’m not too bothered because it tasted great, so silky and sumptuous in texture too. I’ve added a little twist with oyster mushrooms and a few sliced spring onions and garlic, because it just seemed like the right thing to do.